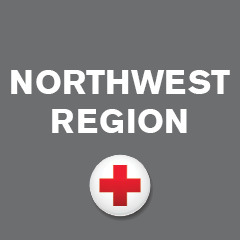 Gail Fraser Chanpong of Port Ludlow, WA is an avid Red Cross volunteer in the Northwest Region’s Kitsap and Olympic Peninsulas Chapter. She teaches first aid, CPR and preparedness and takes part in blood drives. When the Red Cross Sound the Alarm smoke alarm campaign kicks off next spring, she will be leading the initiative in Jefferson County. Gail was sent to Austin, TX to work with the Worker Training Program of the NIEHS. That program funds nonprofit organizations that educate workers in how to respond safely to such environmental disasters as Hurricane Harvey. Gail’s job was to strengthen ties between the training program and such non-profit disaster response entities as Volunteers Active in Disasters (VOAD), the Texas-based OneStar Foundation, and the CDC Foundation, which supports the government’s Center for Disease Control and Prevention. Working in global hot spots in nothing new for Gail. Her career in public health has sent her to 18 countries around the world. “I have worked on every continent but Antarctica,” she says. Gail was born in Vincenne, IN–the ninth generation of her family to be born in the same county and town. She first studied at the University of California San Diego, which is where she met husband Robert. “I was an undergraduate and he was a grad student, “ she recalls. Her PhD in public health is from the University of Texas. Her first public health job out of college was five years spent with the Caribbean Epidemiology Centre in Port of Spain Trinidad, studying tropical diseases. She later spent six years as a research scientist with the U.S. Navy’s Medical Research Unit in Jakarta, Indonesia. The unit did research work on such devastating diseases as malaria and dengue fever. “Our job was to find ways of keeping U.S. forces healthy in unhealthy climates.” she says. Gail’s Red Cross roots run deep. “I was a Red Cross volunteer in high school,” she says. She worked with Red Cross teams in Thailand during one of the worst natural disasters ever–the 2004 Indian Ocean tsunami that killed nearly a quarter-million people. She and her husband moved to Washington two years ago and she immediately became a volunteer in the Kitsap and Olympic Peninsulas chapter of the Red Cross. She also volunteers with the Girl Scouts of Western Washington and spent a day of her short stay at home teaching First Aid and CPR to Girl Scouts and their leaders. As active as she is as a volunteer, her work as a public health professional still eats up big chunks of her time. On the day she was interviewed for this story, she had just finished a lecture on managing hazards to a roomful of U.S. Navy safety officers at the submarine base at Bangor, WA. Once a month she travels to Texas to lecture on workplace health and safety issues at Texas A&M. She teaches a similar class at the University of Washington in Seattle. The School of Public Health course is designed to teach the skills necessary to keep workers safe while involved in emergency response. Even after finishing her work in Texas, Gail won’t be able to sit home and relax for long. She is a visiting professor on the Faculty of Nursing of the Universidad de la Sabana in Bogotá, Colombia–delivering an online global health course through the school’s Virtual Sabana network. She will soon be spending a month there to update and tape new lectures based on her work in the Hurricane Harvey response and recovery. Finally, there is still another Colombian link for Gail. She has an article in the fall/winter 2017 issue of the Sustainable Communities Review, detailing the recovery by the Universidad de La Sabana from a devastating flood. She presents the recovery as a case study on how to manage the response to a natural disaster. .It is coincidence, of course, that the article appeared just as Gail was taking part in the response to a mega natural disaster–Hurricane Harvey.